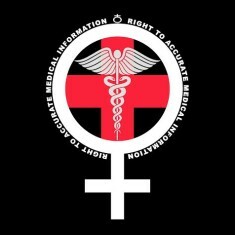 Now that a week has passed since we (The Satanic Temple) announced our Right To Accurate Medical Information initiative — an exemption from anti-abortion “informed consent” laws — we are in a position of sufficient time-passed to appraise the initial public reaction and media response. By and large, the response has been impressively positive, with many outlets simply reporting the facts of our campaign, and various publications, such as Bust Magazine, covering the initiative in an unequivocally positive light. Predictably, this led to some typical skeptical commentary from some of the usual suspects suggesting that TST is “merely” engaging in a PR ploy, a scheme designed to garner media attention. It’s a bizarre criticism that makes little sense to me, as spokesperson for TST, and my reply to various journalists who have questioned our attention-getting tactics has been consistent: Of course we want to bring attention to this campaign. The exemption letter that our counsel has drawn up is simply worthless if nobody uses it. Naturally, nobody can utilize the letter if they are not aware of it. So, yes, we unashamedly seek maximum attention for our Right To Accurate Medical Information initiative, and we genuinely hope that women in the unenviable position of needing an abortion in a state where “informed consent” laws exist will use the letter as an opt-out from the indignity of compulsory state-mandated misinformation. Are we supposed to believe that those who pledge submission to an ethereal supernatural deity hold to their values more deeply than we? Are we supposed to concede that only the superstitious are proper recipients of religious exemption and privilege? In fact, Satanism provides us all that a religion should, without a compulsory attachment to untenable items of faith-based belief: It provides a narrative structure by which we contextualize our lives and works. It provides a body of symbolism and religious practice — a sense of identity, culture, community, and shared values. Another amazingly idiotic quote was included in a piece posted by the Religion News Service, this time by one Cole Durham, a law professor at Brigham Young University, who stated, “It is not altogether clear to me that even if sincere, their [TST’s] beliefs are in fact religious, as opposed to merely philosophical.” The comment wouldn’t be so bad if he had bothered to qualify his delineation between the two (and demonstrated any understanding of our own beliefs and positions), but then he carried on into the realm of unalloyed stupidity: “informed consent laws are general and neutral laws which do not target any specific religion, and thus would override constitutional free exercise claims.” It beggars the imagination to conceive of an actual law professor who believes that exemptions can only be invoked if and when a law is directly and willfully discriminatory against a specific religion. One wonders if Cole Durham’s misunderstanding is extended to the belief that a Quaker may only claim conscientious objector status only in such cases in which a war is declared in a direct challenge to Quaker pacifism. The same piece also quotes one Robert Destro, a law professor at the Catholic University of America, who laughably claims that, in the case of the decision of whether or not to distribute informed consent materials, “[…] the doctor has a choice to make: either offer the materials, or not,”… “Religion has nothing to do with it.” In fact, the care provider (not necessarily a doctor) does not have a choice. (And, true to Destro’s faith, the woman’s preferences aren’t considered in the least.) The compulsory materials are state-mandated, and that’s the whole point. Further, it’s simply comical to see a Catholic commentator pretend that he has no concept of how religion might possibly play into this entirely secular issue regarding entirely secular laws that were surely in no way authored under religious influence. Confusion on this point seems to arise from a strange sense, that a significant minority apparently holds, that the Hobby Lobby ruling is only relevant in the case of corporations looking to deny certain benefits to their employees. A few perplexed commenters have pointed out that we offer our exemption to individuals, not corporations, thus Hobby Lobby surely has no application. A fact of the Hobby Lobby ruling is that The Supreme Court, finding in their favor, posited the personhood of the Hobby Lobby corporation. Individuals are still people as well, and it is indicative of another hideous consequence of the notion of corporate personhood that some of the lay public now seem resigned to the perception that one must be incorporated to fully have one’s personhood realized.